A top quality range that will cover loads of different fishing situations. 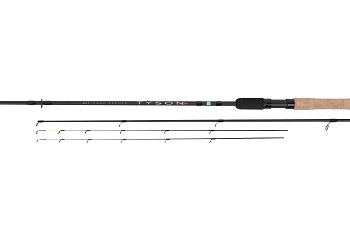 The Preston Innovations Tyson Carp Feeder Rods give you the best of both worlds, a top quality range that will cover loads of different fishing situations. But, most importantly is affordable. Designed for casts of up to 25m, the 9ft Carp Feeder can be used with confidence when targeting both match sized carp and F1’s. Equally as good on small snake lakes when fishing to the far bank in windy conditions. The 11ft Carp Feeder is powerful enough for Carp well into double figures but is also just as suitable for smaller F1’s and skimmers, a real mixed fishery rod. Suitable for casting method feeders up to around 50m.